Motorola is putting its Moto X phone on sale today for $349, $150 off the regular price, at noon Eastern time. This is a "make up" sale for Motorola's botched Cyber Monday sale which had to be cancelled due to Website problems. The Moto X is the latest flagship device from Google owned Motorola. It runs Android 4.3 with a timely update to 4.4 KitKat promised. Hardware includes a dual core 1.7 Ghz Krait processor, 2 GB of RAM, 16 GB internal memory, 4.7" 720x1280px screen and a 10 MP camera. The Moto X also features lots of unique software, including Active Display, which wakes up the phone's display to show notifications of things like missed calls, texts and upcoming calendar events when the phone is sleeping. Because it's unlocked and supports all of AT&T and T-Mobile's 2G, 3G and LTE bands the Moxo X is a great prepaid phone on AT&T, T-Mobile or any of their MVNOs. Supplies of the sale Moto X appear to be very limited. This is actually the second makeup sale for the Moto X. The first one on Dec 4 sold in out in 9 minutes. I expect this one to last about as long. The way the sale works is that at noon EST (9 AM PST) the sale page will go live at http://www.motorola.com/holiday2daysale. It will let you register with your name, email, address and phone number. After you complete registration, Motorola will email you a unique, one-time promotion code. 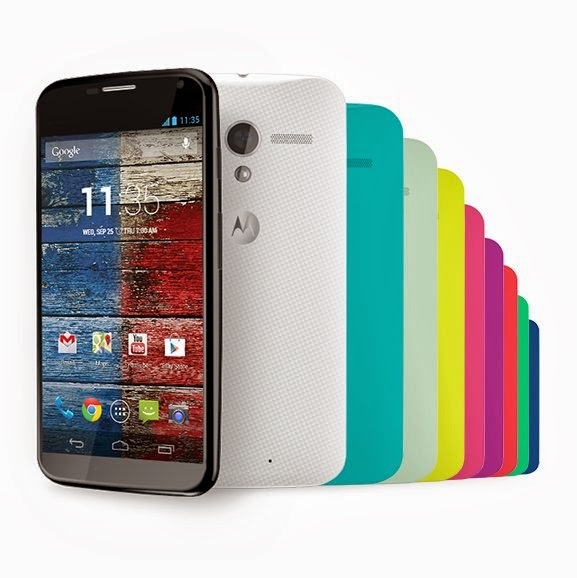 After you get the code you have one week to "design" your Moto X by choosing options, including color and the amount on internal memory, at www.motorola.com/motomaker. During the sale you can also get 30% off select Moto X accessories by using the promo code THANKS. The sale deal is only available to US residents and only on the unlocked GSM versions of the Moto X. There's more information about the deal on the Motorola site. Update: 12/9/2013 9:10 AM PST - The Moto X deal has sold out! So the unlocked version is the tmobile version? That includes all the bands used by both T-Mobile and AT&T as well most bands used internationally. Doesnt tmobile still use 1700 of 3g band in some areas?? Yes, T-Mobile uses the 1700 Mhz (AWS, Band 4) band for 3G UMTS in many areas. That band is supported by the Moto X.
Hi Dennis I thought the promotion is for the moto x maker ones that force you to pick a provider. Thought T mobile was unlocked where as AT&T sprint verizon were carrier bound even if they are no contract. The promotion was on the unlocked unbranded GSM version. At this price point is this a better phone than the Nexus 5? Most of the comparison reviews I've read that were written by people who have actually used both phones seem to either prefer the Moto X over the Nexus 5 or rate them equal. I ordered the MotoX promo. To checkout, you have to select a carrier, but then in the next step you have to select No Carrier to get the promo applied properly to the unlocked GSM phone. If you want 30% off accessories, you have to add a second promo code 'thanks' in the cart.